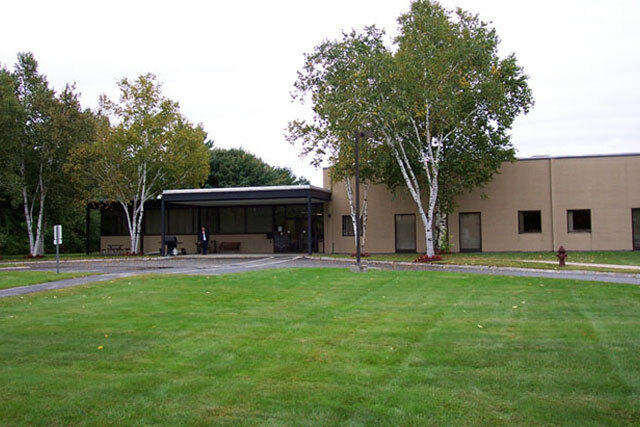 Vanguard Construction Company, Inc in Dunstable, MA has been awarded many contracts and projects throughout the New England area since 1991– mostly in the government-contracting sector. 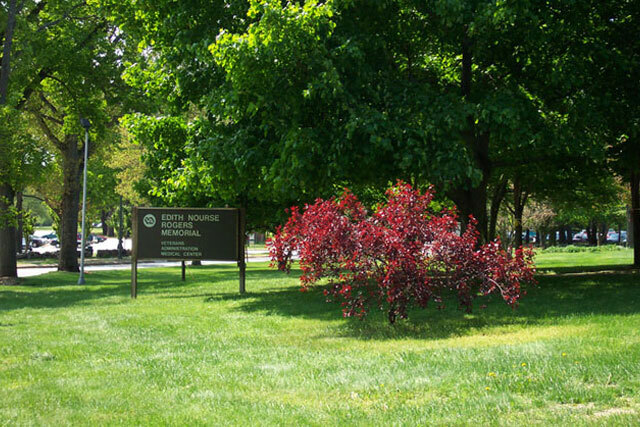 Our completed projects include works for national parks, wildlife sanctuaries, government facilities, and military installations such as Hanscom Air Force Base in MA, where our team has been involved in many building renovations and rehabilitation projects. Continue to browse our site to see samples of some of our notable construction work. This project required Vanguard Construction Company, Inc to totally renovate an existing computer server room to meet the specifications of the veteran’s administration. 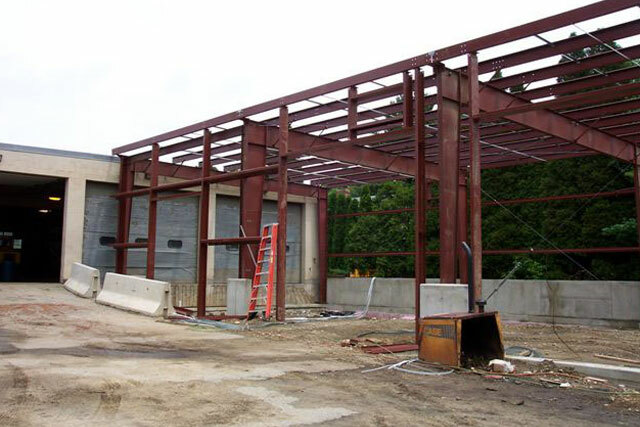 As an independent dealer of Rockwell Industries’ pre-engineered steel buildings, Vanguard Construction Company, Inc furnished and erected a new 50x150 foot addition to the existing garage at the site of the Department of Public Works in Lynnfield, MA. 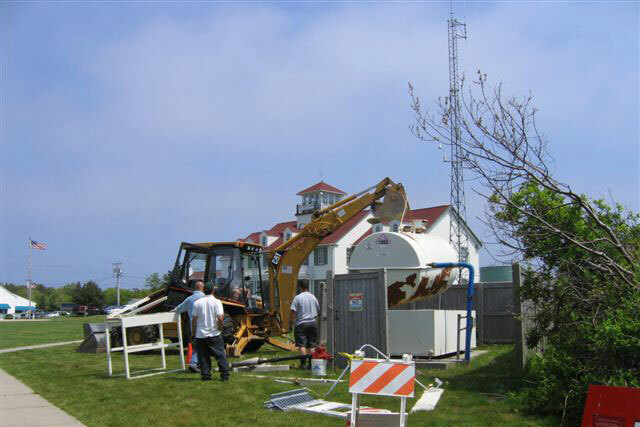 Vanguard Construction Company, Inc was tasked with the repainting of this research radar tower at a remote site in Sudbury, MA. 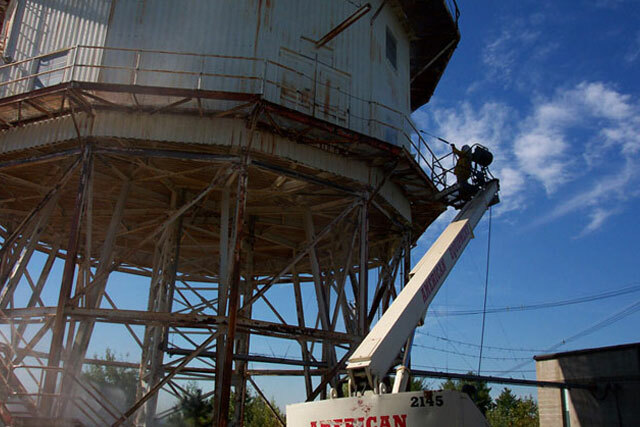 The work included the ultra-high pressure water blasting of the existing structure to remove existing rust and paint and the refinishing of the prepared structure with a state-of-the-art surface restoration coating. 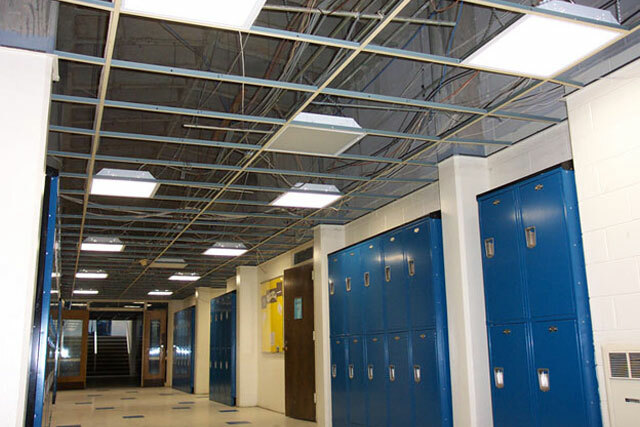 Work entailed renovation of two public restrooms, installation of a new public address system, miscellaneous electrical modifications and replacement, and abatement of many acoustical suspended ceilings. The intent of this project was the build out of a vacant ward area to create a new spinal care clinic. Work included construction of new walls/ceilings/doors, a new HVAC system to serve the clinic, extensive electrical modifications, medical gas piping, sanitary plumbing systems, as well as new seamless vinyl flooring and other miscellaneous finishes and systems. 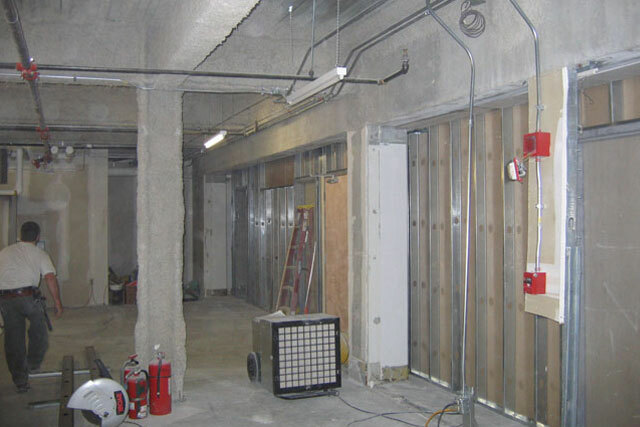 The scope of this contract was the complete gut renovation of a 40,000 sq ft wing of the facility. Work included all new HVAC, electrical, flooring, walls, ceilings, doors, and windows. 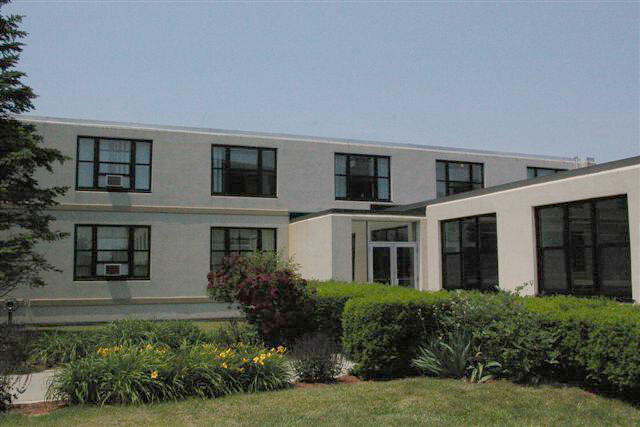 This project involved the replacement of 115 windows in the barracks building. Also included was the installation of new window treatments throughout. 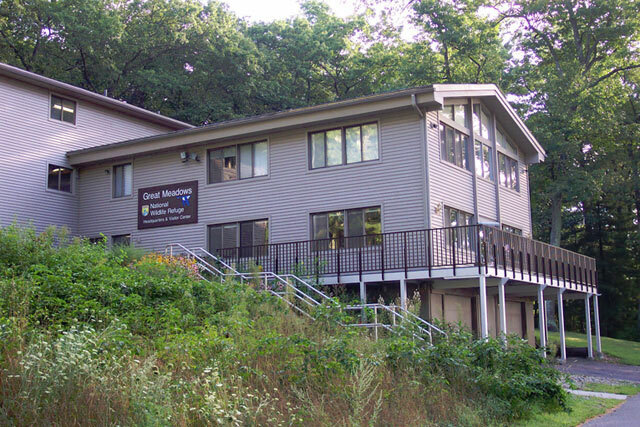 Major rehab/renovation of the entire building was the scope of this project. New windows, ceilings, paint, electrical, fire alarm, sprinkler, and HVAC systems were installed as well as all appurtenant finishes. A new aluminum three-story exterior staircase was a prominent feature of the renovation. The complete painting of Station Chatham was the scope of this project. The extensive dry rot of siding, framing was discovered in the process which required major repairs to the structure of the building. 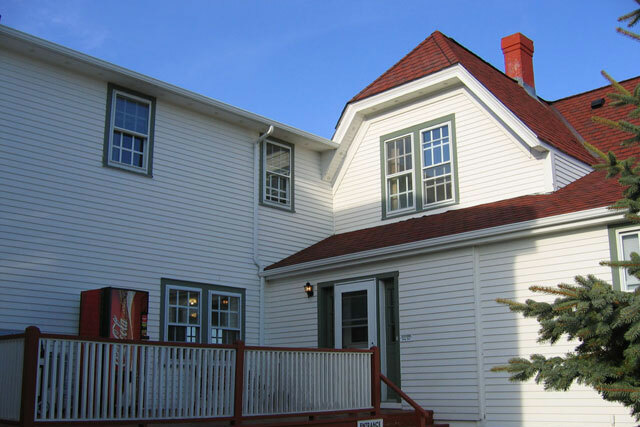 Additionally, historically correct cornices at the gable ends of the building were removed and replaced to the satisfaction of the Town of Chatham Historical Association. Fuel tank and delivery system replacement. We have completed numerous projects for various government and private clients.  Give us a call or send an email should you have questions about our building renovations and other projects. We are more than glad to walk you through our construction services.